Brand: Topo Chico Grapefruit Mineral Water. 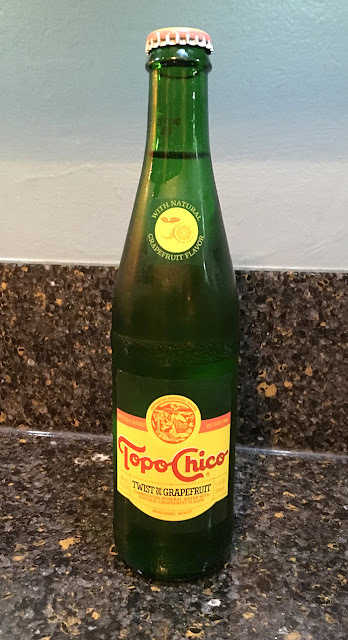 Review: I saw "grapefruit" on the label, but I didn't realize this was just mineral water until my first sip. It was decent as no-calorie slightly-flavored water. It was like a fancy La Croix. Nothing amazing, but still refreshing. I'll give it an average score.